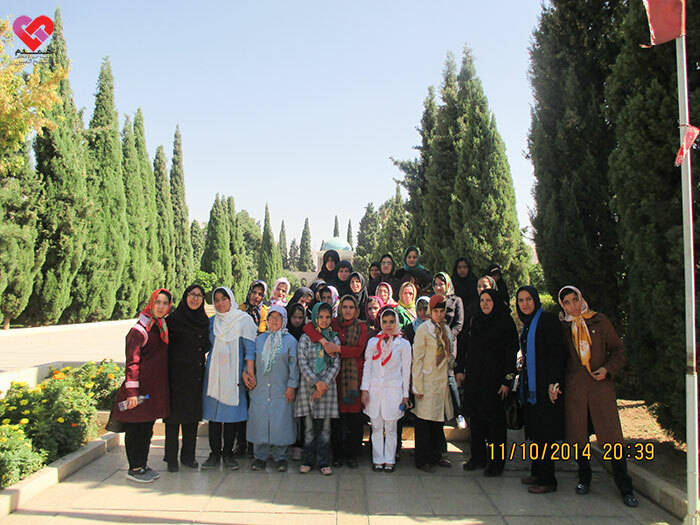 33 girls of Hamdam charity along their teachers went to Shiraz to visit this beautiful city and its tourist attraction places. The program was hosted and held by Narjes charity in Shiraz on October 15th. The girls visited the religious, historical, archaeological, cultural and recreational centers of Shiraz and Fars province during a week. At the beginning of their stay, they visited ShahCheragh holy shrine. Hamdam’s girls visited Takht-e Jamshid monuments (the ancient site of Persepolis), Hafez and Sadi tomb, Bazar-e Vakil, Vakil mosque (Masjid-e Vakil),Khajoy-e Kermani garden, DarvazeQuran (the entrance gate of Shiraz), and Margon waterfall too. This memorable recreational camp finished on October 26thin a unique atmosphere; full of empathy and solidarity between these two charitiesi.e. Narjes of Shiraz and Hamdam of Mashhad.